Bristol underground arts venue The Brunswick Club is to close when its current lease comes to an end in January, but the team behind the project say they are now looking for a new space. Before leaving the building, the team will host a special event, under the banner of 'I Will Survive', to raise support and awareness of the club. Jay Glass Dubs, Harrga, John Bence and Annabel Fraser will all provide music with more names to be announced in the coming weeks. The event will run all day and into the night on November 10 and will include discussions, workshops, films, performances and a party line-up to round things off as the event moves into the nighttime. 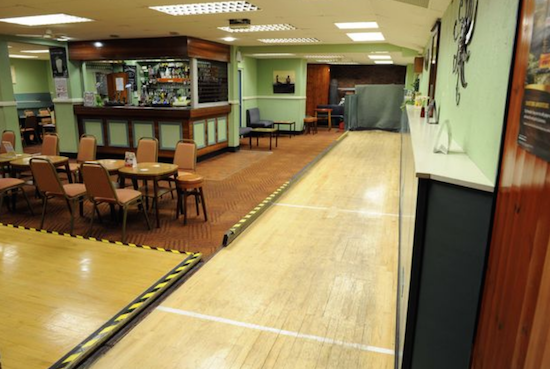 "I Will Survive will be a landmark event for The Brunswick Club," the team behind the club says. "We'll be debating and discussing the impact of development on the cultural life of Bristol as well as celebrating the amazing artists, musicians, filmmakers and supporters behind The Brunswick Club. I Will Survive is also a statement of intent. Moving on from the building is not the end of The Brunswick Club, just the end of an era - we will find a long-term home for underground culture here in Bristol." Hen Ogledd and AJA are also set to play the venue before its lease comes to an end in January. They are now actively looking for a new space in the city to continue their mission of supporting underground music and other culture. You can find more information on the November 10 event here.